I've always been curious of Curves Circuit place at Serendra. I even tried to apply once but laziness got the best of me and decided not to pursue it. 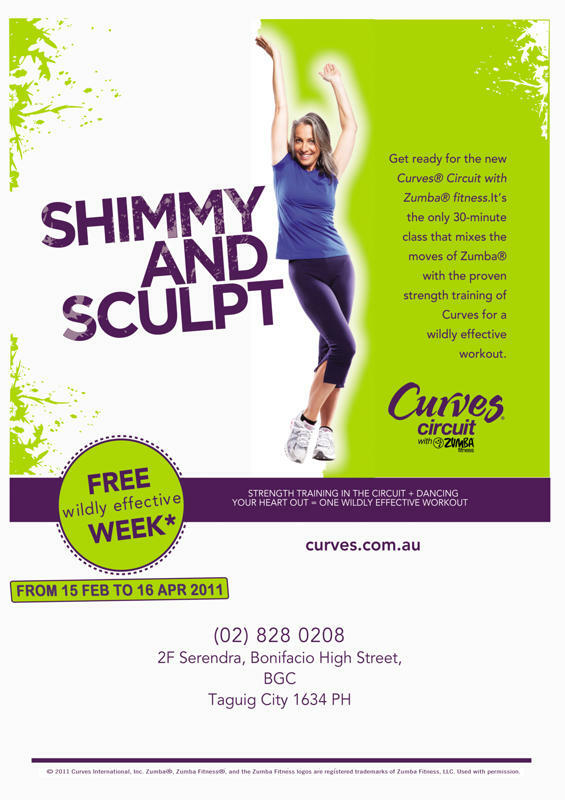 But I got excited when I received an e-mail that Curves now integrated Zumba into their circuit training. Zumba is a latin-inspired dance routine that has been earning raves all over the world and has a good rate of making people shed pounds. I, myself, have tried Zumba and it's really a good exercise. It's fun, exciting and it allows me to dance while I get to work all the muscles I need to. I love the energy of Zumba, it's really an amazing workout. It would probably make Circuit training a lot more fun and losing weight easier. So, if you're the type who's not afraid to try something new or just want an exercise that doesn't take too much time maybe Curves Circuit with Zumba. Who know, we might bump into each other there, too!